Laser-focused on bank security for 25 years. Attend in-person OR Stream the full, 2-day event directly to you! The management team at Bankers Online have asked us to coordinate the 25th Annual Bank Security Conference. Based on feedback from the 2018 evaluations, we've moved the conference to May to avoid conflicts with year-end reports and the holiday season. We've also changed our location to San Antonio, TX, which was the overwhelming choice of our previous attendees as the preferred conference destination. As a result, the 25th Annual Bank Security Conference will be held on May 14-16, 2019 at the Riverfront Marriott Hotel, which is just steps away from the beautiful San Antonio River Walk and everything this wonderful city has to offer. The Central time zone also makes it easier for our east and west coast followers to participate remotely by streaming the sessions into a conference room for multiple attendees. And, perhaps best of all, we've held the price to the same as last year. As always, we started with a review of prior evaluations, and we've developed a solid, comprehensive program to help you meet your annual training requirements. Above all, the line-up this year will help you prepare for those difficult annual Board report questions and improve your Bank's overall Security Program. The 25th Annual Bank Security Conference is designed for anyone associated with bank security and every attendee stands to gain valuable insight into the issues we all face today. Our program is filled with new professional speakers, many of whom are leaders in their respective disciplines, and it is designed to address the training needs of security officers, investigators, fraud analysts, security operations personnel, and even auditors. It was clear that everyone enjoyed the professional speaker line-up we had for 2018, so once again we have spared no expense to ensure that you will receive timely information from subject matter experts throughout the country. When you look at the agenda and speaker bios, you'll agree that we have assembled an outstanding group of speakers in an effort to make this conference the premier bank security training program available today. Sessions have been extended to allow for adequate Q&A, and our streaming process has been modified to make remote participation more user friendly. As always, we will be offering pre-conference sessions for both rookies and veteran bank security personnel. The Bank Security 101 all-day pre-conference session is an excellent program for new investigators, fraud analysts, or anyone who has recently been appointed to the role of Bank Security Officer. At the same time, we have two outstanding sessions for seasoned personnel. Michele Stuart, a world-renowned investigative expert, will offer a three-hour session on Open Source Investigations, and Dr. Tau Braun, a recognized expert on workplace violence, will discuss causes and solutions to this growing phenomenon that is plaguing the financial services industry. For the Wednesday and Thursday conference, you again have a choice to attend in person at the Marriott Rivercenter, or you can attend via live streaming audio and video right in your own office. If you want, you can have your entire staff participate for one simple price! And you have the ability to access any of the sessions (from the entire 2-day conference) again for 30 days after the conference. This is an excellent opportunity to meet multiple training requirements. Think how easy it will be to answer the next examiner's question of, "When and what type of formal training has your security team received since your last examination?" Tuesday, May 14, 2019, 9:00 a.m.-4:00 p.m.
In-Person at the Marriott Rivercenter, San Antonio, TX -OR- Remote Video Streaming to your location. Call for reservations or book your room online using the link below. Early Bird Discount extended until 4/26/19: $100 discount for the 2-day conference ($50 discount for the pre-conference session) PLUS 30 days of archived access to the entire conference. Every few seconds, someone has his or her identity stolen. Computers are hacked, wallets are stolen, credit cards are compromised, credit is ruined...and the instigators make more in a day than most of us make in a year. The fact is, the system we function under is set up to fail – and unless consumers know their options, it's just a matter of time before they are victimized themselves. There is a reason why we keep hearing about data breaches involving millions of credit card and account numbers: Data breaches cost thousands to millions of dollars per incident, and organizations and corporations take on a huge potential financial loss when it comes to the potential of identity theft and data forfeiture. The bleeding will not stop anytime soon – and the more time you spend uninformed, the better your chances of being targeted. A bank robbery is a traumatic and dangerous event no matter if it involves a note passer, armed criminal or branch takeover event. Many thefts can be prevented by following industry best practices centered on Physical Security Risk Assessments. Risk Assessments form the foundation for protecting assets, legal and regulatory compliance, and identifying reasonable control measures necessary to mitigate threats. Physical Security Risk Assessments, tailored to actual risk, better enable a financial institution to protect their people, property, and assets while enhancing returns on investment. This session will take you through a logical and structured process of collecting and analyzing information with the focus on identifying the threats and vulnerabilities that generate risk to your bank. Threats are what we are attempting to protect against; vulnerabilities are weaknesses or gaps in our protection efforts and risk represents the potential for damages and losses. You will be empowered to perform effective assessments and develop solutions through the application of recognized and trusted methodologies. From Justice Department Prosecutor to addict to bank robber, my presentation is intended allow attendees to draw on my personal experience. I robbed 6 banks and by understanding my process in choosing which individual banks to rob: based on the location, city, suburban, rural, etc., the proximity of law enforcement headquarters, crime rates near particular banks, and whether the bank had recently been robbed for instance, you will gain insight into how to best protect your employees and your institution. Was there good cover and concealment near and around the bank--trees, bushes or structures that would cover my ingress and egress to and from the bank? How far did I have to park or walk to and from the bank? How extensive was evident video surveillance and was it prominently displayed? At what angles were cameras placed? Were there dead zones I could detect and utilize? Did the bank manager seem sharp and experienced? How old? How busy? Bank tellers--same questions. Energy levels? Alertness? What were the busiest times? Too much of the cybersecurity space is around the perceived need for new and fancier tools. In fact, many practitioners rely so heavily on the newest tech tool that they have forgotten the essentials of cybersecurity, controlling access. In this talk we will discuss the everyday common-sense approaches to cybersecurity, debunk most of the hype and highlight how if you are truly security minded, you can excel in the cybersecurity arena. Tech is a just one tool in a cybersecurity professional's arsenal. The globalization of markets in the 21st century will require corporate business to be conducted outside the United States in regions that can present higher threat levels than encountered domestically. To remain competitive in this environment, many corporations will have to become leaner due to financial pressures, thus creating reduced security budgets and affecting Executive Protection programs. Additionally, while operating in this environment, Executive Protection practitioners will need to manage a myriad of threats; from cybercrimes to transnational threats that include acts of terrorism thus needing a major paradigm shift in training and operations to meet these challenges. This session will highlight the challenges of the global security environment and its potential impact on executives and those in the branch banking environment. We will discuss the current trends and the ample use of technology, a definite force multiplier for cost-efficient Executive Protection operations. The main topics will include a redefinition of Executive Protection to include our most likely targets...branch managers; the different categories of threat to a principal, the different threat levels encountered while operating domestically or globally, and the different measures used to protect the principal in these threat levels. The session will also highlight the application of time-tested principles which are the basis for all Executive Protection missions. Attendees will become familiar with these principles as well as how to sell your personal protection program to senior management. We will have representatives from the FBI, Secret Service, Postal Inspector's Office, and FinCEN to share insight and answer questions. This has been a popular session in past conferences and we will have more details soon! Recent safe deposit vault burglaries, hurricanes, raging floods and many other nationwide disasters have significantly impacted our safe deposit industry. Following these tragic events, financial institutions have been confronted with some very difficult challenges, decisions and significant lawsuits. Whether you have 50 boxes or 5,000, this presentation provides a realistic and well-organized method of reviewing and auditing your procedures before a burglary or catastrophe occurs. Your speaker knows firsthand what to look for; from the most common errors to the not so common, but potentially costly mistakes. This presentation will help you review your own internal procedures. Faster payments, digital banking, organized fraud, identity theft and synthetic IDs, increasing transaction volumes. These and other industry trends are impacting financial institutions, e-commerce vendors, telcos and other organizations at an ever-increasing pace. These changes in the banking landscape are forcing organizations to reevaluate their approach to managing fraud and financial crimes risk. At the same time these changes are occurring, the volume, breadth, and availability of data is also growing at an exponential pace. In conjunction with managing fraud risk, financial institutions and other organizations are also focusing on false positive rates and insuring the most positive customer experience. Increased data availability, advanced analytics, and technology provide new and changing methods of addressing this new fraud landscape. In fact, organizations will be required to use these new tools to effectively and efficiently address these emerging risks and associated customer experiences. If they don't they may well be at a competitive disadvantage. This session will discuss some of these emerging industry fraud trends and how organizations are utilizing technology, data and advanced analytics to manage fraud risk and enhance customer experience. The increase in cyberattacks has resulted in many financial institutions becoming the targets of lawsuits by plaintiffs looking for a way to recover stolen funds. This session will take a look at a number of lawsuits brought by consumers under Regulation E and lawsuits by businesses which were the victims of account takeovers. The session will review the applicable provisions of Reg. E and UCC Article 4A. The major focus of the session will be on security procedures used by financial institutions and whether the court considered the security procedures to be "Commercially Reasonable." The session will provide recommendations on how your financial institution may avoid being a target and how to increase your potential to be successful in the event your financial institution is sued. As armored transportation continues to deliver and pick up cash for banks and ATMs, a robust and dynamic partnership is critical to reducing the risk of robbery and the risk of injury or death to the general public, customers, and employees. The success of this risk management relationship is dependent upon efficient communications between armored security and bank security management, effective strategies to minimize the occurrence of robberies, and a robust relationship with law enforcement. In this presentation, Randy Sheltra provides a brief history of armored transportation, an overview of robbery trends, and a review of current risk management best practices. By utilizing a combination of streamlined communications, enhanced threat level awareness, and consistent anti-robbery strategies, a solid foundation can be established for robbery reduction and risk management transformation. Bank Security 101 is an all-day pre-conference session designed for those who are new to the bank security world and for those who may need a refresher course in the regulations governing the issues related to the security function. Kevin will review the Bank Protection Act, UCC, Sarbanes Oxley, and much more to make you aware of your regulatory obligations and identify ways to achieve your goal of protecting company assets while staying within the lines of the coloring book. It is important for anyone associated with bank security (investigators, fraud analysts, anti-money laundering agents, and others) to understand the various technologies used to prevent or detect crimes against your institution, and this session will address all of those technologies. Bank Security 101 is intended to give each attendee an appreciation for the regulatory, physical security, fraud prevention and investigative environment, so they understand how the bank security function may be viewed as a valuable contributor to the bottom line. 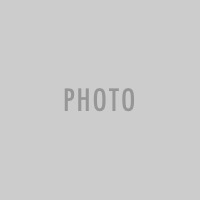 Recent changes and case law related to the Bank Protection Act. The realities of conducting bank security investigations. Proven investigative methodologies through a discussion of specific case studies. gathering information for regular management reports. Using the investigative process to reduce future losses through fraud prevention technologies. How regulations might actually increase the prospect of loss recoveries. Discussion of current trends in fraud, including ATM Skimming and identity theft. How investigations may be used to satisfy training requirements of the Bank Protection Act. Suspicious Activity Reporting requirements under the Bank Secrecy Act. How the Right to Financial Privacy impacts the investigative process. The importance of working with Law Enforcement to investigate and prosecute financial crimes. Note: Agenda includes 15 minute break in morning, 15 minute break in afternoon, and 1 hour lunch break from 1200-1300. Total training time = 6.5 hours. This presentation will provide an overview of investigative techniques and correct search patterns of open sources and social media platforms. These sources, all of which are free, can assist in determining the identification of an individual, associations, relatives, address history, telephone numbers and movement. To adequately prevent and manage workplace violence and the threat of violence there is a need for the implementation and execution of proactive and ongoing violence prevention efforts. Using thought-provoking case studies, multimedia, and anecdotes, Dr. Tau Braun, Executive Director of the Violence Prevention Agency, will illuminate strategies that are designed to prevent, detect, investigate, manage and resolve behavior that has generated concerns for workplace safety from violence. * SAVE $50 with EARLY BIRD pricing! * SAVE $100 with EARLY BIRD pricing! I attended the Security Officers Workshop in 2016 - which as always was Excellent!!! As always, a great conference full of relevant material and great speakers. This year's conference was one of the best I have attended...There wasn't one session where I didn't learn something of value. I found this year's presenters simply awesome. Thank you for making this all possible. When I retire this year, I will be taking with me the memories of so many wonderful people that I have met over the many years and the knowledge that was gained by attending BOL's annual training. Phenomenal conference...in 26 years of attending conferences all around the country, this one beats them all. Having access to a live remote is perfect for those of us that are unable to attend in person. It is as if you are right in the room. We participated via online, and thought it was a great way to learn so much without having to travel. We appreciate the content and the presentation delivery. It was well worth our investment and we will recommend your conferences for this very reason. Truly a great security program. Consistent high quality, and different subjects each year. You help keep me up-to-date. Keep up the good work! 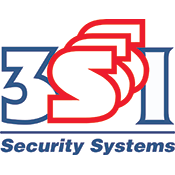 P. Kevin Smith is a Certified Protection Professional through the American Society for Industrial Security (ASIS). A former Lieutenant from the Wilmington Delaware Police Department, Kevin has spent more than 23 years as a senior security manager in the financial services and communication industries. 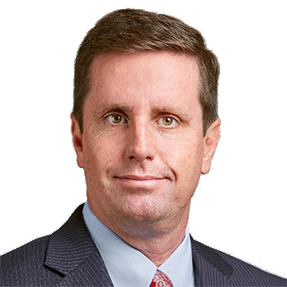 Recently retired as the VP of Asset Protection for Navient Solutions Inc. (formerly Sallie Mae, Inc.), a $200 billion student lending organization headquartered in Wilmington, Delaware, Kevin now serves as the Chief Editor for Bankers' Hotline, the premier monthly trade newsletter for bank security professionals. 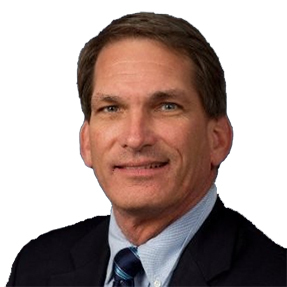 Jim Beveridge is a General Manager with Allied Universal Security Systems and Services. Prior to his current assignment, Jim had a very successful career in bank security, serving as the Senior Vice President in charge of Security at J.P. Morgan Chase (2004-2006), and Chief Security Officer for Bank One in Chicago (1996-2004). Following his bank security career, Jim owned and managed several very successful businesses in the Dallas/Fort Worth TX area. Most recently, Jim has served as Editor of Bankers' Hotline, a monthly publication for security and operations personnel serving the financial services industry. 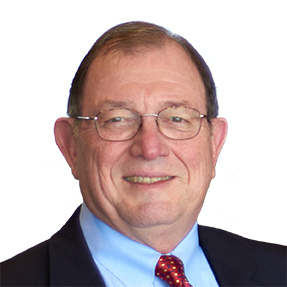 Jim holds a Master's degree from St. Joseph's University in Philadelphia, PA, and a BA from Mercyhurst University in Erie, PA. A recognized expert in Bank Security, Jim has lectured nationwide, and he has been published in numerous trade journals throughout his career. Dan Barta is a member of SAS' Global Fraud and Financial Crimes Practice responsible for the development and deployment of SAS' various fraud solutions - SAS Fraud Network Analysis, Enterprise Case Management and SAS Fraud Management - solutions that provide data analytics, alert management, case management and social network analysis. Barta uses his past experiences in law enforcement, fraud investigations, and fraud detection/prevention to provide insight into product features and functions required to meet the needs of users. 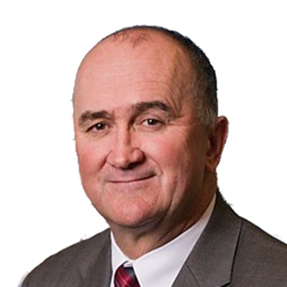 Barta began his career in 1987 as a Special Agent with the Federal Bureau of Investigation in Dallas, TX as a member of the Bank Fraud Taskforce responsible for the investigation of numerous failed savings and loans in North Texas. He also investigated several white-collar crimes and defense procurement fraud matters. In 1994, Barta became a manager with a Big Six accounting firm in their Business Fraud and Risk Services practice. His primary responsibilities included performing internal fraud investigations for client organizations and developing anti-fraud programs. Barta spent approximately 3 years with NationsBank/Bank of America in the Liability Risk Management department. From 1999 until April 2008 when he came to SAS, Barta worked for Carreker Corporation (now a part of FiServ) managing a delivery team responsible for the implementation of fraud software products. He also performed numerous consulting engagements for clients in the area of fraud and risk operations and optimization of fraud systems and resources. He was also responsible for the development of a fraud alert management product currently utilized by several banks. Dan is a graduate of Armstrong Atlantic State University in Savannah, GA with a BS in Criminal Justice and from Savannah State College with a BA in Accounting. Dan is a Certified Public Accountant and a Certified Fraud Examiner. Dr. Tau Braun, Ed.D, Executive Director Violence Prevention Agency, Violence Prevention Specialist, is a thought leader and eminent speaker on Violence Prevention and Response. As a Clinical Psychologist, Dr. Braun focused on integrative psychology and wellness. Post 9/11, Dr. Braun began to narrow his research and practice to understanding the causes of violence, the prevention and response to violence, and crisis psychology. As a Violence Prevention Specialist and Threat Management professional, he now advises and trains educational institutions, healthcare facilities, corporations, and government organizations in Violence Prevention Strategies, including Threat Management; Mass Casualty Attack Prevention, Preparedness, and Response; Crisis Response; and Counterterrorism. Dr. Tau Braun's epistemological, humanistic, systems-based approach offers a compassionate, scientific, optimistic, and mindful solution to complex issues. He makes a strong case to see violence as a public health issue, not a criminal-justice one, and to be proactive and adaptive in our response. He believes that it is the most ethical approach, and also the only option that is viable, sustainable, and in sync with a rapidly changing world. Dr. Braun regularly presents at global conferences, notably, FEMA Active Shooter Preparation for Higher Education, the National Healthcare Coalition Preparedness Conference, Master The Disaster, CBRAC Violence Prevention Symposium, the Preparedness Summit, INTERCEP Urgent Threat Forum, ACI-NA Airport Collaborative: Crisis Management Workshop, California Department of Public Health - EMSA Emergency Preparedness Training Workshop, Indiana Department of Education School Safety Training, Men in Nursing Conference, and the California Tactical Officers Association (CATO) Conference. Dr. Braun serves as an advisor to Safe and Sound Schools (A Sandy Hook Initiative), Firestorm's Crisis and Emergency Management Expert Council, the RANE Network, and Metropolitan Healthcare Security Directors Association (MHSDA). 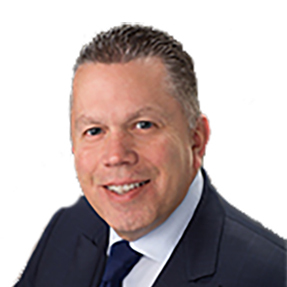 Paul is the founder of Carrubba & Associates LLC and is Of Counsel in the law firm of Adams and Reese LLP. His primary focus is on Banking Law and legal issues dealing with payment system laws and regulations and bank operations issues. He is a frequent speaker at industry trade organization events, vendor user conferences and webinars on banking and banking law issues. 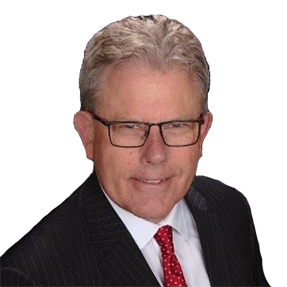 He serves as litigation consultant and expert witness in matters dealing with banking procedures and has over 41 years of experience in the financial services industry. Before starting the practice of law, Paul was Executive Vice President and Managing Director of Carreker Corp., Dallas, Texas. In this position, he had responsibility for the management of the P&L for the software business units. 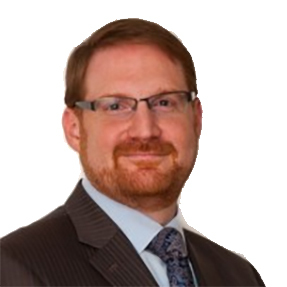 Prior to joining Carreker, Paul started a consulting firm and provided bank operations consultation to banks in the U.S., litigation support and expert testimony, and legal services to financial institutions. Paul started his banking career at Deposit Guaranty National Bank in Jackson, MS where he worked for over twenty years. At the time of his departure, he was Senior Vice President and Manager of Operations, served as Chairman of the Board of Directors of the Southern Financial Exchange, was a member of the Executive Committee and Board of Directors of the National Automated Clearing House Association (NACHA), a member of the Bank Administration Institute's Council for Educational Services and the Operations and Technology Commission and Chairman of the Operations and Automation Committee of the Mississippi Bankers Association. He is the author of five books including: Revised UCC Article 3 and 4, A Banker's Guide to Checks, Principles of Banking, and Remote Deposit Capture Practical Considerations. E.J. Hilbert is the founder of ECK Cyber, a consulting firm that helps clients address various cybersecurity and regulatory concerns. E.J. is also the Managing Director of Cyber Services for CNM LLP. He has over 25 years of experience in the information security/cybercrime arena. Prior to his current roles, E.J. has held various positions to include CEO of Path Network and Vice President, Cyber Security Division at Gavin De Becker and Associates. E.J. also served as Director, Cyber Security and Privacy for Price Waterhouse Coopers where his primary role was supporting all sectors as they prepare for, defend against, investigate and mitigate cyber-attacks. Prior to joining PWC, E.J. led Kroll's Cyber Security Practice for Europe, the Middle East and Africa based in London, UK. He also founded and served as the President of Online Intelligence LLC (OI), which provided online investigations, brand protection and internet traffic forensic services to online and social media advertisers, merchants, celebrities and other interested parties. Before launching OI, E.J. held the position of Director of Security Enforcement for MySpace.com/Fox Interactive Media addressing threats to MySpace's infrastructure and users. He spent 8 years as a Special Agent for FBI based in Southern California, where he was the lead case agent for numerous cyber-crime, white collar and counterterrorism investigations. E.J. led one of the FBI's largest cyber-crime investigations addressing the computer intrusion, theft of data and extortion of over 600 financial institutions. He also served as an online undercover agent utilizing social media sites, chat rooms and forums to identify and track hackers, predators and other cyber criminals. He later applied those same techniques to the counterterrorism field operating undercover to identify and disrupt terrorist organizations. E.J. 's final case with the FBI was bringing treason charges against the American Al Qaeda member, Adam Gadahn. 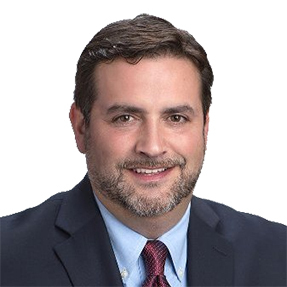 Stephen Longo serves as Vice President of Strategic Initiatives and oversees the company's business development efforts, acts as primary liaison for several loss prevention and risk management industry trade groups, and manages special projects. 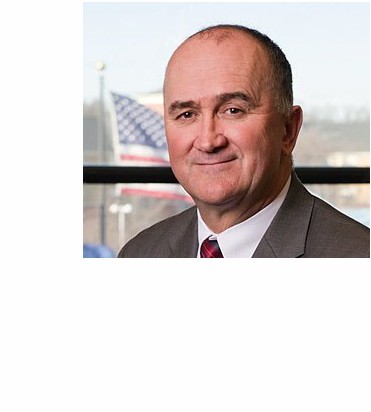 He currently leads CAP Index's efforts with the American Bankers Association's Bank Capture system, a bank robbery incident database, as well as the National Shrink Database, a retail loss incident resource designed to measure retail shrink in the US. Mr. Longo oversees CAP Index's UK market as well as the company's vast reseller program. He also serves on the Board of Advisors for the Loss Prevention Research Council (LPRC) and the Restaurant Loss Prevention & Security Association (RLPSA), is an Advisory Member of the ASIS Banking and Financial Services Security Council and serves on the Vendor Advisory Board for Loss Prevention Magazine. 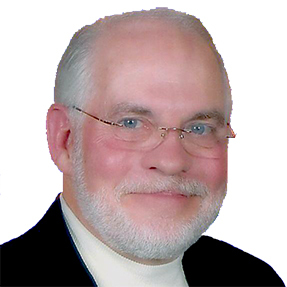 David P. McGuinn, President of Safe Deposit Specialists, is a former banker with over 45 years of safe deposit experience and is often referred to nationwide as the safe deposit GURU. In all 50 states he has trained over 350,000 safe deposit employees and managers and has served the industry as President of AIB and the American, Texas and Houston Safe Deposit Associations. Dave is a featured speaker for the American Bankers Association, Independent Community Bankers of America and National Association of Federal Credit Unions and over 100 nationwide financial associations. He has been interviewed by The New York Times, Wall Street Journal, Money Magazine, New York Magazine, Fortune Magazine, Associated Press, National Public Radio (NPR), British Broadcasting Corp. (BBC), AARP, Bottom Line Financial, FDIC, CUNA, CNN, CBS, ABC, FOX, NBC Nightly News, Inside Edition, Crime Watch and Court TV on current safe deposit issues. McGuinn has created numerous training programs and his Regulatory/Compliance Manual, Policy and Procedures Handbook, Audit Manual and Disaster Recovery manuals are now the accepted standard for the industry. I travel the country speaking to professional organizations, colleges and universities, high schools, drug courts and more about the perils of prescription and non-prescription drug use and abuse, particularly, but not limited to, opiates including heroin. I address the dangers of untreated depression and anxiety and the necessity for people going through difficult times in their lives to reach out and ask for help. Having served over 5 years in the Federal Bureau of Prisons (FBOP), I also consult with attorneys and their clients regarding the FBOP process and how to assimilate best into the prison system, navigating the complex and dangerous prison culture, best practices for doing time, being productive, and staying safe while experiencing the most daunting reality of their clients' lives. My story is one of redemption and hope, having traveled the difficult road from Airman, U.S. Marine Corps Captain, Judge Advocate General attorney, Justice Department prosecutor, to opiate addict, heroin addict, and bank robber. People have said the descent and eventual rise as told in my memoir Sheer Madness: From Federal Prosecutor to Federal Prisoner is astonishing in its brutal honesty and candor and is an inspiration to those struggling with life's myriad challenges. Randy has 20+ years of experience in risk management and operations at Loomis. He began his career in the cash-in-transit industry in 1995, when Loomis was still known as Wells Fargo Armored. Randy has served Loomis in various capacities including branch manager, regional loss prevention manager, and vice president of safety. As vice president of safety, Randy worked to raise the bar for best practices in risk management. By introducing technological advancements into the Loomis fleet of vehicles, Randy's efforts helped to reduce incidents and improve driver behavior. Randy also contributed to Loomis' business continuity plan, which is used by the company during natural disasters and service interruptions. In 2017, Randy was appointed senior vice president of risk management. He is currently responsible for safety, security, claims, and internal audits. 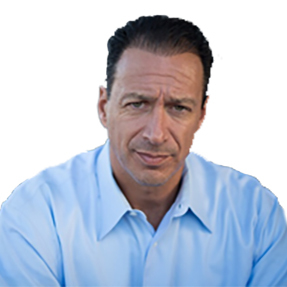 ROBERT SICILIANO, CSP, the #1 Best Selling Amazon.com author and CEO of Safr.Me, is serious about teaching you and your audience fraud prevention and personal security. 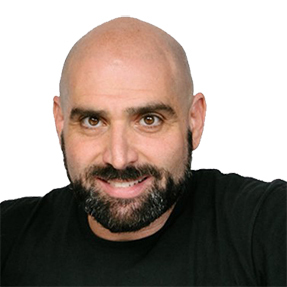 Robert is a security expert and private investigator fiercely committed to informing, educating and empowering people so they can protect themselves and their loved ones from violence and crime in their everyday lives, both in their physical and virtual interactions. Michele Stuart is the owner and operator of JAG Investigations, Inc. since its creation in 1997. Previous to this she was employed by Assets Intelligence starting a financial investigative career in 1990. 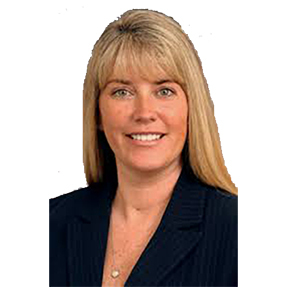 Michele has over 28 years of experience in OSINT, counter intelligence, insurance fraud investigations, financial investigations, threat assessments, due diligence, organized retail crime, corporate & competitive intelligence. Over the past 15 years, she has taught hundreds of classes in open source intelligence and social media investigations for the law enforcement and military intelligence communities as well as the financial industry and insurance industry on a global level. She has been an Instructor at Quantico (FBI Academy) for International training programs and a past Adjunct Professor with University of Virginia. 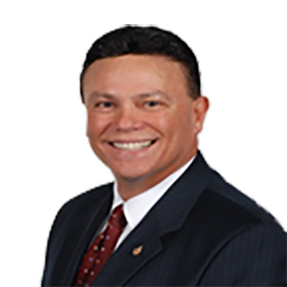 Dr. Torres has over 38 years of experience in the field of security at the federal and corporate levels during which he served as a former US Army Intelligence and Special Operations Officer. He is a graduate of the US Army's Airborne, Ranger, Special Forces, Military Intelligence and Command and General Staff Schools and has served as Guest Instructor at the National Intelligence Schools of the Republics of Ecuador and Colombia. He has also served as a Special Agent with the Department of the Army and the Federal Emergency Management Agency (FEMA). Dr. Torres has held numerous security management positions and has worked as a security consultant for various corporations in Puerto Rico. He was past President for the Puerto Rico Bankers Association's Security Committee; Co-founder and Chairman of the Puerto Rico Financial Crimes Task Force; Vice President for Certification and Distinguished Fellow of the Academy of Security Educators and Trainers; and as a member of the Banking and Financial Services Council of the American Society of Industrial Security. Currently, he is the Director of Security & Safety for Popular Inc. and a Colonel in the Puerto Rico State Guard Command. He holds various professional certifications which include: Certified Protection Professional (CPP), Certified Fraud Examiner (CFE), Certified Security Trainer (CST), Personal Protection Specialist (PPS), Certified in Homeland Security - Level III (CHS-III), and is a Licensed Private Investigator in the Commonwealth of Puerto Rico. He is also an active member of the American Society of Industrial Security (ASIS), the Association of Certified Fraud Examiners (ACFE), the Academy of Security Educators and Trainers (ASET), the Executive Protection Institute (EPI), the American College of Forensic Examiners Institute (ACFEI). Register for the Bank Security Conference now! Sign up today to attend the most highly respected security conference in the industry. Created BY security professionals FOR security professionals. The Bank Security Conference (formerly the Security Officers Workshop) has been developed and designed to ensure that financial institution security officers, as well as their staff, are kept up-to-date and in compliance with industry best practices. In addition, the conference provides an environment in which security professionals can network, share ideas, and get answers to their security questions. Further, the goal is to accomplish this in a way that maximizes educational opportunities at a reasonable cost. All materials (print, electronic, and streamed) are copyright © 2019, Bankers Information Network. All Rights Reserved. The material and presentations are intended to be used by a single institution, or charter, and are not to be reproduced or distributed, in any form, outside the attending organization.